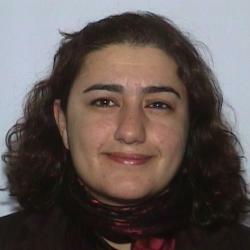 Naghmeh Sohrabi is the Charles (Corky) Goodman Professor of Middle East History and the Associate Director for Research at the Crown Center for Middle East Studies. She is the author of the book Taken for Wonder: Nineteenth Century Travel Accounts from Iran to Europe (Oxford University Press, 2012) and numerous articles on Iranian history and culture. She is the 2014 recipient of the Andrew W. Mellon New Directions Fellowship, and in 2017-18, along with Prof. Greg Childs she received a Mellon-Sawyer Seminar Fellowship in Comparative Revolutions. In 2015 she received the Bernstein Faculty Fellowship and a Provost Teaching Innovation Grant. She is currently writing a book on the experience of the 1979 revolution in Iran. Her courses include the history of modern Middle East and modern Iran, Nationalism in the Middle East, The Middle East and the West, History for the Global Citizen, and The Event in History. Sohrabi, Naghmeh. "The Obvious in the Archive: Ethnography, History, and the Iranian Revolution." The Iranian Revolution and its Disciplinary Aftereffects, University of Michigan, Ann Arbor. 2019. Sohrabi, Naghmeh. "“Remembering the Palestine Group: Friendship, Global Activism, and the Iranian Revolution,” (under 2nd stage of review)." International Journal of Middle Eastern Studies 51. 2 (2019): N/A. Sohrabi, Naghmeh. "The “problem space” of the historiography of the 1979 Iranian Revolution." History Compass 16. 11 (2018). Sohrabi, Naghmeh. "“Revolution and Arab Existentialism in the Era of Decolonization: An Interview with Yoav Di- Capua,”." Age of Revolutions: A HistorioBLOG (2018): <https://ageofrevolutions.com/2018/07/09/revolution-and-arab-existentialism-in-the-era-ofdecolonization- an-interview-with-yoav-di-capua/>. Sohrabi, Naghmeh and Arang Keshavarzian. "“Lesson Learned (and Ignored): Iran’s 2017 Election in Context,”." Middle East Report and Information Project May 26, 2017 (2017): <http://www.merip.org/mero/mero052617-0>. Sohrabi, Naghmeh and Seyedamirhossein Mahdavi. "“What Does the 2017 Presidential Election Tell Us About the State of the Islamic Republic?”." Middle East Brief N/A. N/A (2017): <http://www.brandeis.edu/crown/publications/meb/meb109.html>. Sohrabi, Naghmeh and Seyedamirhossein Mahdavi. "“What’s Really at Stake in Iran’s Presidential Election,”." The Washington Post 2017: Monkey Cage N/A. Sohrabi, Naghmeh. "Books as Revolutionary Objects inIran." Age of Revolutions: A HistorioBLOG (2016): <https://ageofrevolutions.com/2016/04/04/books-as-revolutionary-objects-in-iran/>. Sohrabi, Naghmeh. "Muddling through the Iranian Revolution." Perspectives on History: The Newsmagazine of the American Historical Association. Sohrabi, Naghmeh. "Experiencing Revolution: The Case of Iran." London School of Economics. 2/19/14. Sohrabi, Naghmeh. "Islam and Travel in the Middle Ages." by Houari Touati. Journeys vol. 13 Summer 2012: 99-107(9). Sohrabi, Naghmeh. "Taken for Wonder: Nineteenth Century Travel Accounts from Iran to Europe." Rev. of Naghmeh Sohrabi: Taken for Wonder, by Stephen Conermann. Sehepunkte 2012. Sohrabi, Naghmeh. Taken for Wonder: Nineteenth Century Travel Accounts from Iran to Europe. Oxford University Press, 2012.